We are so sorry to report that we lost our sweet Summer tonight. She was sixteen years old. She died peacefully in her bedroom, surrounded by her entire family. We are heartbroken. 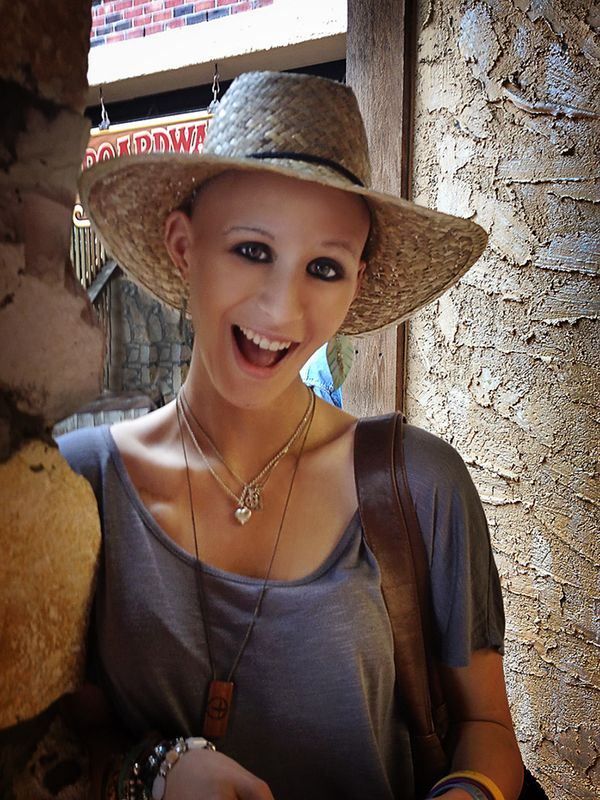 Throughout her year of battling cancer, and even as recently as three weeks ago, Summer said that cancer was a blessing to her because it had brought so many wonderful people and experiences into her world. Indeed, it transformed her by teaching her the power of helping others and loving unconditionally. In less than a year, the non-profit organization that Summer founded, Team Summer, raised more than $50,000 to help other kids with cancer like herself. She selected personal gifts for kids she met in hospital clinics and waiting rooms with the mission to “help the kid in the bed.” She gave gas cards to a young boy to spare him a seven-hour bus ride after chemo, a fashion photo shoot to a girl who was in despair over the loss of her hair, a computer to a boy to keep his active mind occupied during his long treatments…and many more gifts. In Summer’s memory, we will continue with her mission and vision of Team Summer. In lieu of flowers and gifts, we ask that you consider donating to Team Summer at www.teamsummer.org/donate. This will be Summer’s legacy. There are no words to express the depth of sadness in hearing the news of Summer’s passing. I am so, so very sorry. You have all my love in the coming days and weeks. I know Summer is in a better place and out of her pain. She was an extraordinary soul. Hugs and love to you all. I’m so sorry to hear about Summer. Caroline & I cried & cried together this evening. We also talked about how special Summer was, and how many people she touched. Grace is in the hospital right now, so when she is better, I will share the news with her. No child should pass before his or her parent. Please accept our heartfelt condolences for the loss of your dear Summer. Having watched a loved one battle cancer, it is a helpless feeling. All you can give them is support, love and pray the medicines do their job. Your daughter shared the love and support she received many times over to those in the same condition. They are better for it. Summer knew she was loved but also answered to a higher calling to help ease her pain and that was helping those in need like her. She was a beautiful, brave, smart, and loving young woman stripped of the life she deserved to live. A beacon of light, a ray of hope, a north star by which all can navigate the turbulent waters of this uncaring disease. Celebrate her life. What she has given will save the lives of others one day. Please take joy in the manner in which your daughter conducted herself during this past year and the lives she has changed. Summer will continue to inspire. I’m so deeply sorry for the pain Summer went through and that you’re going through now. Your daughter is beautiful and her story is amazing. I know you are so incredibly proud of her! Words can’t say how sorry I am that she passed away. Please know that your family will be in my family’s prayers. We will pray for peace. I am just so sorry that you lost your beautiful little girl. I’m soooooo sorry for your loss. I have been following Summer’s story since she was featured on Fox 5 about American Idol. She was an inspiring, amazing woman. I am a friend of Edward Krugman and Jill Pryor. I am so very sorry for your loss of your sweet, beautiful Summer. I have followed her story this year, bought bracelets and have kept up with her through friends in Atlanta. Although I cannot even begin to imagine your heart loss, I will say one thing: She is good. It is those left behind that deal with the awfulness of death! Thoughts and love to you, her family and friends. Thanks for sharing her with the world! What a beautiful tribute to a beautiful child. Ally and I are better people for knowing the Dales and witnessing your unconditional love and compassion for Summer and others with cancer. We will always remember Summer as the warm, generous and funny girl that she was. Summer was an extraordinary young woman who touched so many lives, many more than she could possibly fathom. While I never met Summer, she “ran” 26.2 miles with me last year in the NY Marathon as part of my “team”, running for the American Cancer Society. She subsequently befriended my niece, Bergen Darby, who has had her own fight with cancer in the past year, and Summer also “friended” my daughter online upon learning of all of the connections. We have followed her journey, and I feel a profound sense of loss at her passing. Our wishes for God’s comfort go out to Summer’s family and all those who loved her. Our wishes for God’s grace attend Summer along her way. Such a courageous young lady. I’m sorry for your loss. Her life touched many and I know she will be missed. I am so sorry for your loss and for the bright light that was extinguished here on Earth. Prayers for healing. I am so sorry for your loss. I emailed Summer often and really wanted to meet her. I cried a lot for her today. Her family is in my prayers.† I know she was a amazing and wonderful person. I am so so sorry. My prayers to Summer’s family. What a wonderful person she was! It is so great to see the things she did for other kids. What an insperation to others! What a precious soul you were Summer. You touched more lives in your short time here on earth than most people do in a lifetime. My heart is heavy for those who love you, but I know your happiness is beyond compare. I only hope I can touch half the lives you have before my time on earth is a mere memory. I, honestly, am at a loss for words at the magnitude of your loss… I watched Summer’s story earlier this year in a very busy time in my business yet was watching FOX 5 as a part of my daily, just as habit, not necessarily to be moved but I was. So very inspired to do more in my own organization & my community than I ever was since our inception! I never imagined that I’d have the time nor opportunity to hear of her again, nevertheless in her passing. I promise ~ the first thought in my mind was that she was sent her for a purpose ~ to touch people spiritually, mentally and emotionally much more than she’d ever be able to touch them physically. In your grief, understand she IS an angel here on Earth, her physical time is done and our Lord makes no mistakes. Her purpose is fulfilled and she will FOREVER be remembered, revered and exalted. Thank you for her and the enormous responsibility she’s placed on my heart. May God continue to bless you all! We are all so sorry to hear this news. Please accept our condolences and know that the Koriakin’s are all shedding a few tears today. Thank you for sharing Summer with all of us. Her courage and beauty will continue to shine through everyone she touched and uplifted. I do not have the words to say just how sorry I am for all of you. You all have been in our prayers for the last year and will continue to be through this tough time. Summer was a special wonderful girl and she will never be forgotten. I know my daughter will never forget her and will carry her with her for always. If we can help in any way please let us know. Again I am so very sorry. I am sooooo upset that this has happened. I completely didn’t see this coming! I am so sorry to everyone close to her e.g. Jordan, Lynne, Al, Cynthia etc. She has had an amazing life and has brought smiles to so many peoples and kids faces including mine! I love you cousin Summer! Summer was an amazing girl. She always knew how to put a smile on someone’s face!! She will be missed greatly. Prayers go out to the whole Dale family. Miss you & love you Summer<333 RIP gorgeous girl. I am so sorry for your loss. I quietly followed this page for ages and cannot explain or express how I feel for you all right now. Her body may be gone, but her spirit will live on within all of you. Hugs and thoughts for all of those difficult moments that you will face. Just remember that you had in your lives an exceptional human being. Dear Dale family, my heart goes out for you. Kids should not have to go before the parents go, but when they do the earth stands still. My thoughts are with you and I pray that you will find peace. Thank you for being such a loving and giving person while you were here on the planet with us. I donated today to your organization so that your journey will continue. I only knew of you as of today from an article in the Atlanta news on AJC and from this website but what an honor to see the love you gave to the world.